World Rugby vice-chairman Gus Pichot stirred the pot during last month’s autumn series by suggesting that countries other than Argentina were chock full of players born outside their borders. As many of those players prepare to battle in Europe this weekend, Peter Jackson of The Rugby Paper believes Pichot picked a fair fight – but armed himself with the wrong facts. Once upon a time, long ago, when players could switch allegiance almost as easily as clubs, a Welshman from a famous academy in the Rhymney Valley turned out for England. Derek Morgan, born in Newport, blazed a trail from Lewis School in Pengam to the international arena, lighting the way for those among the more distinguished alumni who came after him like John Dawes, Neil Kinnock and the Falklands War veteran Simon Weston. Of the rugby players, Morgan was alone in ending up wearing a Red Rose on a white jersey instead of the Prince of Wales feathers on a red one. As a practicing dentist in his native Gwent, it made the choice seem all the stranger at a time when rugby stumbled along without any hard-and-fast rules on who could play for whom. Morgan had gone to university in Newcastle and made enough of an impression to represent Northumberland in the County Championship, an important staging post back then between the haphazard club game and the national team. One day some decades ago, curiosity got the better of me and I rang his surgery hoping to extract an explanation. The conversation with a man who went on to become president of the RFU and who turned 83 the other week, sprang to mind in the midst of an argy-bargy on social media prompted by Gus Pichot. The former Argentina scrum-half threw a puma among the pigeons in listing the percentage of ‘foreign’ players picked by every leading rugby nation except South Africa and, of course, his homeland. That Pichot acted in his lofty capacity as vice-chairman of the game’s governing body, World Rugby, angered a few, mainly Scots. He claimed that almost half their current squad, 46.3 per cent, were born elsewhere. Other figures quoted in support of his campaign put Japan’s ‘foreign’ contingent at 37.1 per cent, Italy’s at 29.7, Australia’s 29.4, England’s 27.7, Ireland’s 26.1 and Wales’ 24.3. In puffing the figures up, Pichot does himself and his cause a gross dis-service. He fails to make the distinction between those with no ancestral link to the national colours they wear and those born elsewhere but reared in the country they represent. The examples are many and varied: Jordi Murphy born in Barcelona to Irish parents, Jamie Heaslip in Tiberias where his father held a senior position in the UN peace-keeping force, the France lock Sebastien Vahaamaahina in Noumea. According to Pichot, that made them eligible to play for Spain, Israel and New Caledonia respectively but nobody else. 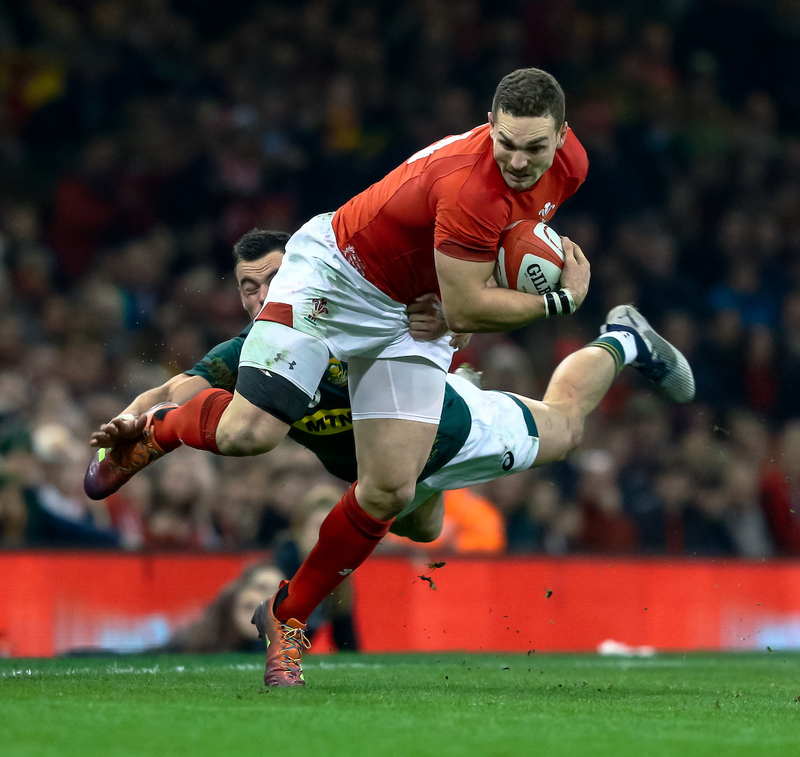 George North and Jonathan Davies would have been condemned to represent England on the basis that they came into the world at Kings Lynn and Solihull respectively before being brought up in Welsh-speaking Wales. By the same token, Ronan O’Gara’s birthplace in San Diego where his father, Fergal, worked briefly as a microbiologist, would have restricted him to an international career with the American Eagles or none at all. That he was six months old when the family returned to Ireland made such a notion all the more absurd. Simon Halliday is unmistakably English but, according to Pichot, he would never have been allowed to wear the Red Rose, let alone go all the way to a World Cup final, because he was born in Haverfordwest. By the same token, ‘Lord’ Ted Dexter could only have batted for Italy given his Milanese birth certificate. Two Pauls, Ackford and Thorburn, would have had to take their chances with Germany. Pichot makes no allowance for those who choose to play for the land of their fathers from an early age. At least three of Scotland’s contingent from south of the border, Hamish Watson, Ryan Wilson and Ali Price, all played age-grade rugby with a thistle on their jersey. There is no question that those running the game let it down by allowing the three-year residential qualification to be exploited on an increasing scale for far too long. Three years was never enough but only now after so many horses have bolted has it been increased to five. Ireland have used it to striking effect in wrapping green jerseys around Bundee Aki and CJ Stander. Scotland are all the better for their South African trio, Allan Dell, Josh Strauss and WP Nel. Just about everyone else qualifies through at least one parent or grandparent, from England centre Ben Te’o to Celtic Kiwis like Gareth Anscombe, Sean Maitland, Joey Carbery, Simon Berghan and Blade Thomson. Peter Jackson appears courtesy of The Rugby Paper.